Unwinding in a soothing bath can help you put stressors aside and concentrate on your own body’s healing properties at the end of a long day. Slip into a warm bath to boost your immunity and ail whatever health struggle you may be challenged with. Engulfing yourself into a bath may be just what your body demands for an effective and healthier treatment than reaching for pain relievers, cortisone creams and other drugs with hazardous ingredients. Enjoy these 10 healing bath recipes with your latest must read and a cup of tea or escape away in a dim lit room with only the glow of a candle and the soft sound of spa relaxation music. 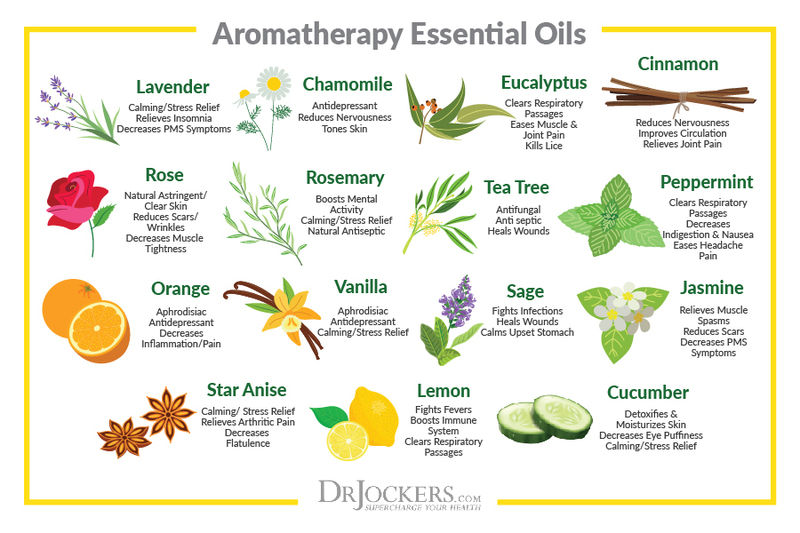 Common aromatherapy essential oils like lavender, frankincense and chamomile are especially therapeutic and enhance healing pathways. Add frankincense to your bath to help reduce anxiety and stabilize mood swings. Or soak in lavender or chamomile before bed to aid in a better night’s rest. Recipe: Add only 100% pure essential oils to your baths that have no added synthetic ingredients. Consider the following essential oil bath combinations when the need arises. Epsom salts are an inexpensive purchase you can make in bulk for greater savings. These traditionally used salts are rich in pure magnesium and sulfates. These minerals are absorbed across the skin and take up circulation into the body’s blood stream for powerful detoxification effects (7). Recipe: Use the recommended guidelines for submersing yourself in an Epsom bath for at least 40 minutes regularly. Maximize detoxification by soaking in filtered water free of environmental contaminants and avoiding the use of any soaping agents which inhibit mineral absorption. *For each additional 50lbs – Add in an additional ½ cup of salts. The baking soda you store in your fridge and pantry isn’t only great at absorbing nasty odors. Baking soda is a cheap and readily available ingredient that you can find anywhere to detoxify the body. Baking soda provides your skin natural itch relief while at the same time neutralizing water contaminants like chlorine. Even with complicated and conventional psoriasis treatments today, healing medical baths such as baking soda baths remain one of the first lines of treatment for the condition (8). Baking soda provides an invigorating and cleansing feel to the skin due to its natural exfoliant properties. Removing dead skin cells and impurities from the skin’s surface improves the body’s own healing properties to regenerate new and healthy skin cells while also stimulating the underlying lymphatic system. Recipe: For a natural sunburn remedy, mix ½ cup of baking soda into a warm bath for a gentle itch relief to your skin. You may also consider adding 3 tbl to a warm foot soak when you don’t have the ability to take a bath. Gather fresh seaweed from ocean (not what has already washed onto shore). Fill up warm bath and add seaweed. 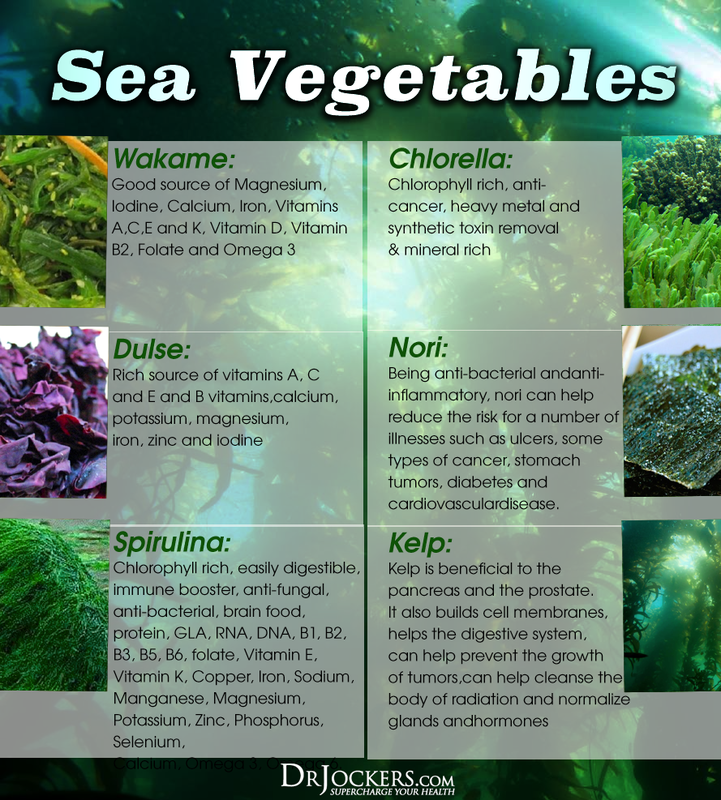 Rub seaweed over body to stimulate circulation and increase detoxification. Typically, when the gel coating from the seaweed dissolves and the seaweed has shriveled, your optimal detoxification period has elapsed (approximately 45 minutes). Add ½ cup seaweed flakes into a nylon stocking or cheese cloth and seal tightly. You can also add ¼ cup dried seaweed powder directly to warm tub. Soak for at least 30 minutes. 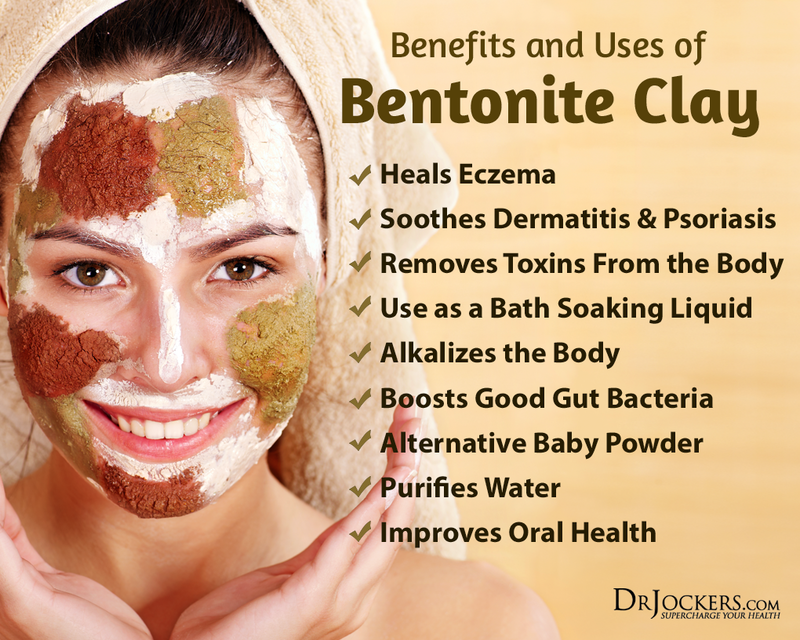 Bentonite clay is an excellent agent to draw toxins towards the skin’s surface for removal. This clay is rich in minerals formed from evaporated sea water mixed with volcanic ash. These clays are used in mud spas to remove toxins from the skin and promote circulation as a type of rheumatoid arthritis treatment (4). Recipe: Before adding the suggested amount of clay directly to your bath, mix the clay (without metal) into a small amount of water to dissolve the clumps and form a paste. Gently massage the paste all over your body and allow to dry while the bath tub fills. Soak in the tub for at least 40 minutes and use a cloth to wash away any residue on the skin. Apple cider vinegar is a versatile remedy to ail almost any health concern. It is rich in vitamins and minerals that nourish the skin such as vitamin C and B-complex vitamins. Its natural acidity has an alkalizing effect on the skin which helps balance pH, act as an antimicrobial agent and can aid against skin conditions like dry skin, psoriasis and eczema (16). Adding apple cider vinegar to baths has benefits to treat inflammatory conditions such as gout, tendonitis, and arthritis. It can benefit athletic aches due to physical exertion and also act as a body odor neutralizer replenishing a healthy balance of bacteria that colonize the skin (17). Recipe: This bath recipe is simple and quick. Submerse in a bath for 30 minutes containing only 1 or 2 cups of apple cider vinegar. Apple cider vinegar baths are beneficial to take 1-2 times each week. These types of spa therapies were first recognized for their benefits by the Greeks and increased in use during the Roman Empire for their healing powers (19). Distributers of magnetic clay promote its ability to improve digestive disturbances, treat allergies, kill parasitic growth, improve cognitive function and relieve symptoms of depression and anxiety (18). As with any clay, dissolve the clay first in a small amount of warm water. Add clay into a bowl and stir in ¾ cup warm water to whisk and smooth lumps. Recipe: This bath is only suggested as an evening activity. The combination of ingredients will sooth your mind and body increasing your ability to relax and optimize sleep. Soaking in a ginger bath may cause fatigue directly to follow but you can rest assured that you will wake up feeling rejuvenated. Into a warm bath add 3 tbl fresh ground organic ginger or ginger powder. Soak for a minimum of 15 minutes but no longer than 30 minutes. This detox bath is perfect around cold and flu season. This astringent draws toxins from the body and acts as a powerful antiviral agent. Hydrogen peroxide baths are useful for soothing agitated skin and can sooth body aches and pains. The use of hydrogen peroxide has been shown especially beneficial to women with recurrent bacterial vaginosis (9). 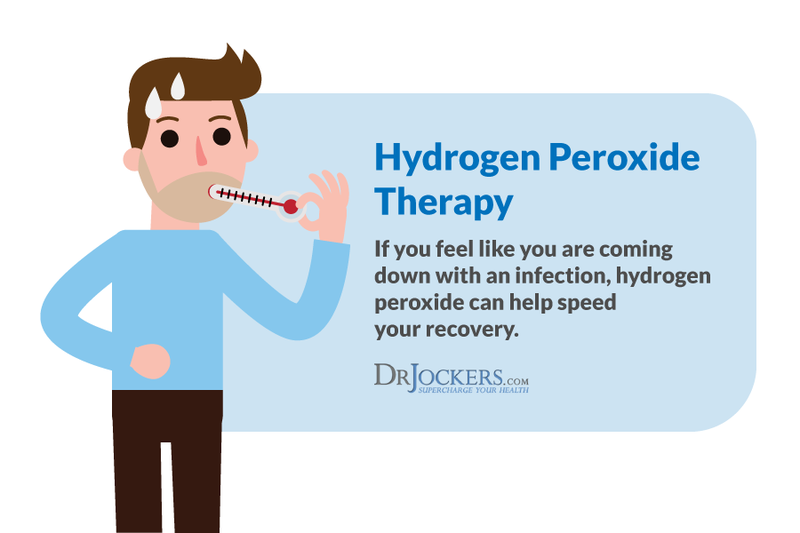 Typically treated with antibiotics, hydrogen peroxide restores normal bacteria flora to these afflicted individuals and offers a low cost, effective therapy with no adverse side effects. Soak for 30 minutes or as long as desired. Sea salt baths are beneficial for soothing skin irritation, battling fatigue and physical exhaustion and increasing magnesium levels in the body. These effects boost over all detoxification and health processes. Sea salts have been shown in study to improve skin hydration thus relieving skin roughness and reducing inflammation (7). Dead Sea salt treatments have been noted throughout Biblical history for their healing properties. Today, Dead Sea salt treatments are an effective treatment for psoriasis and various rheumatologic diseases like knee osteoarthritis and rheumatoid arthritis (12). Stay hydrated to avoid dizziness, nausea and fatigue during and following detox bath. Drink plenty of purified water and/or herbal teas while bathing. Always test for skin allergies before submersing into a detox bath. Avoid submersing open wounds in detox baths to avoid further irritation. Try to relax for 2 hours following a detox bath to promote muscle relaxation and avoid joint stiffness than can occur with physical activity. The hotter the water, the great the detoxification pathways are stimulated as the pores are opened. Generally, concentrations of detoxifying bath agents can be multiplied but this also increases the detoxification processes. Begin taking detox baths with recommended concentrations and adjust measurements accordingly. Always add essential oils just be entering bath to reap their aromatherapy effects. These volatile compounds evaporate quickly when added to hot water without an oil. 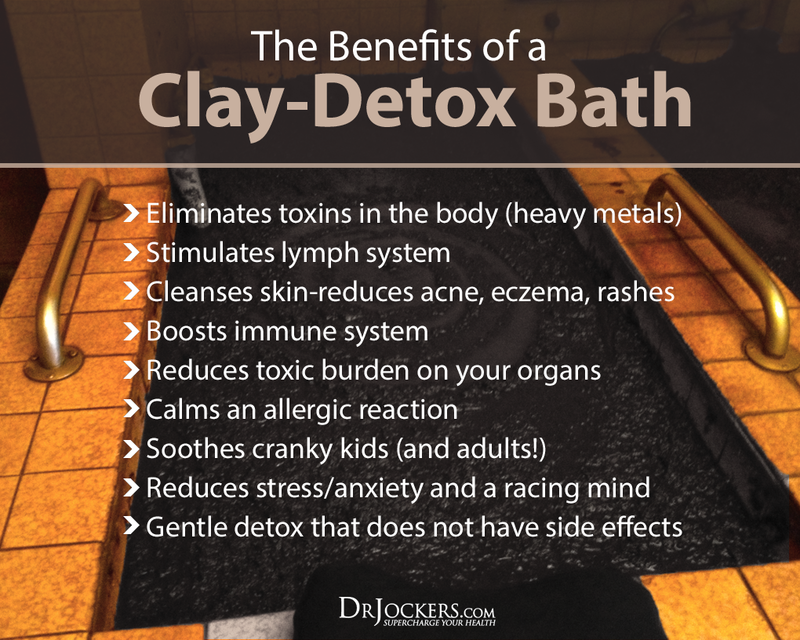 Submerge as much as your body as possible in the healing bath to aid in optimal detoxification. If needed, bend knees out of water so that abdomen and feet are submerged. Some of these bath ingredients will not dissolve down drains. Use a drain guard to prevent materials like clay from clogging drains and clean up tub with a cloth following use.